Newcastle United goalkeeper Rob Elliot says his place as deputy for injured Tim Krul is not certain despite his recent run in the side. Elliot, 29, overcame a thigh problem to feature in Saturday's win at Bournemouth, with Karl Darlow absent as he recovers from an ankle injury. Freddie Woodman is also available following a loan stint at Crawley. "I just want to play week in week out, I never look at it as being number one," Elliot told BBC Newcastle. "I want to play well and let others decide the rest." The depth of goalkeeping talent at St James' Park has boosted boss Steve McClaren following the loss of Netherlands international Krul, who was injured while with the Dutch side. Karl Darlow made his Newcastle debut in a 4-1 League Cup win against Northampton. "We're all gutted for Tim, but he's out for the season," Elliot added. "We're in a strong position, it's open season, Karl's going to be back and he's a good keeper, brilliant keeper, it's good to have competition. "Freddie is very talented, he's ready to play and is good enough." 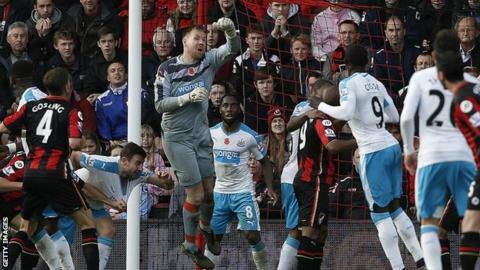 The win at Bournemouth lifted Newcastle away from the relegation zone, and within a point of struggling champions Chelsea who have lost a game more, but he believes they must keep standards up in the coming weeks. "There's a lot of pressure on us, and rightly so," Elliot said. "We're a big club and shouldn't be down the bottom, but we're in a transition at the club, performances are getting better and results are getting better."